Element Three is an agency that works with leading brands that want to meet aggressive business goals, take a bold story to market and crush their competition. 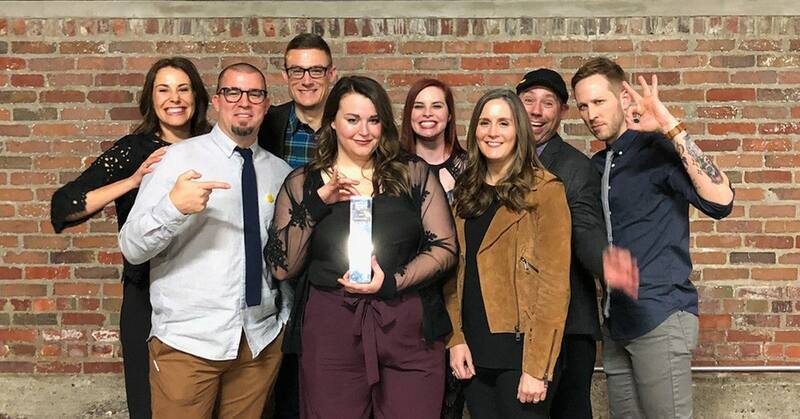 Element Three had a big night at the 2019 Indianapolis ADDYs, taking away the top prize of the event—Best of Show. Element Three is proud to announce our partnership with Powderkeg, making the agency the employer branding facilitator of choice for the tech community. For the fifth consecutive time, Indianapolis-based marketing agency Element Three has been named to Inc. Magazine’s list of the fastest-growing private companies in America. Element Three, Indianapolis's largest full-service marketing agency, brought home a 2018 Stackie Award Tuesday from the MarTech® Conference in California. Previous winners of this coveted award include Microsoft, Cisco and Aprimo. Danielle Falconer, APR will lead brand strategy for the agency, enabling Element Three's clients to tell more discernable, bold stories. VP of Talent Karen Seketa takes a deeper look into how Management by Walking Around (MBWA) can boost your team's health and productivity. Is your brand healthy or have you been neglecting it? Learn why brand is so critical to your business and how to evaluate whether its time to reinvest in it. Why Nudge.ai? Reach out to the decision makers at Element Three with a personalized email - let them know that you found their recent news mention interesting. Nudge.ai’s relationship intelligence platform can help you find the right executive to reach out to at Element Three, such as Halie Vining, Senior Go-To-Market Manager, Salesforce, or Brent Archambault, Founder. Then get in touch and start a conversation. Executives can be difficult to reach, but every company has connectors who bring together people and ideas. At Element Three, people like Tyler Williams, and Halie Vining are likely connectors. When Element Three is mentioned in the news, Nudge.ai often sees topics like Marketing, and Product. If your conversation focuses on these topics, you’ll probably get Element Three’s attention. When Element Three is mentioned in the news, companies such as Hubspot, Ensighten, and Mailchimp are often also mentioned. These companies can serve as customer examples. Employees who are often in the news are usually open to starting conversations or exploring ideas. Nudge.ai's sales AI saw Aaron Harrison, Tiffany Sauder, and Nash Haywood from Element Three recently mentioned in the news. The digital marketing landscape is constantly evolving, so it shouldn’t surprise any marketer that lots will change in 2018. We take a look at some trends to come in the new year—as well as some things you should expect to stay the same. Element Three, Indianapolis's largest marketing agency, won a Stackie on behalf of client Airstream at the MarTech® Conference in California. Who in your network can introduce you to Element Three? Nudge.ai finds the best pathway to reach contacts at this company.